We then did more X rays and found one to be abnormal and then was sent to a CT. The doc ask for a CT and hold me. They did and then sent me back to the doc's office. Sat in a room and he came in and flatly said Eric you have lung cancer! The CT tech infromed him i had lung cancer. Today i got the CT pictures and the report. The report is french to me and maybe some of you can shead some light on it. Have not slept in 2 days wondering what this all means. 16 and 10 yr old boys and a wife of 29 yrs. Scary is an understatement. Quite my job since i traveled North America and setuping appoints was an issue. Health a family first so here i am lost in all this stuff. To many internet searches and thay only scared me more. prevascular lymph nodes are noted. consi-stent with a beniqn cvst. No adrena] mass. No worrisome lvtic or bl-asti-c osseous l-esron. can be obtained for further evaluation is indicated. 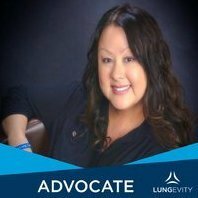 How can the say i have lung cancer just from a CT don't i need a biopsy? Hey,we share the same Christian name,a very warm welcome to LCSC,I know from my experience that coming on board here was the best first step one could make following a lung cancer diagnosis,I was a bit unfortunate in taking over a year to find this site,finding it sooner would have made carrying the burden of a lung cancer diagnosis so much lighter. You are about to discover a wonderful new group of friends here,who have walked the walk,and are so capable by their experiences to provide you with listening ears that will respond to you with all the support and encouragement that you need at this most difficult time in your life. Immeadiately following my dx,my world had come crashing down,partly due to my inconsiderate doctor,who coldly told me to take some quality time out with my wife since I had only two years left to live,information which was entirely unsolicited,(I better get a move on with this post,my two years are up in the 14th October),fortunately my oncologist is giving me 15-20 years if not a cure,think I will stick with his opinion. Spend some time reading the survivor stories here,they are so remarkable that even the most pessimistic among us cannot fail to be lifted by them. This site is not all about cancer,its about making new friends and sharing the joy we all share in living our daily lives. I am sorry,I understand as much as you do in your CT scan report,but I know that pretty soon you will be benefitting from the advice provided by the many here,whose knowledge far exceeds mine.I wish you well as you proceed in your cancer journey,going through all the tests,until a treatment plan is individually devised that best meets your needs,take one day at a time,try not to worry about to-morrow,I did,and I can assure you that for all my worry, nothing materialised even close to my imaginings.Oh by the way,the lack of sleep thing? yeah I had that too,solved by a short course of sleeping pills until my nerves settled down. Welcome to the best site on the web for support for a frightening (at first) disease. First off, do not let them give you an amount of time you have to live. They don't know, and they always want to do that. You will see here that most times they are absolutely wrong! Many of us were told we were going to die in X months, or X years, and we're here and alive and kicking! 1. Is it small cell or non-small cell cancer? 2. Is it squamous or adenocardinoma. There can be other kinds of cancer too. You want to know what "kind" of cancer you have. 3. What stage is it? Stage I means it was caught very early. Stage II as well. It's likely operable and removable. Stage III and Stage IV, means it has spread beyond the chest into lymph nodes and possibly other organs. It sounds like they suspect some malignancy (cancer) in the lymph nodes, but they won't know that until they operate. If it is operable, it is good news. Even if it's not operable, it does not mean a death sentence. Once you have your biopsy, get the answers I listed here, and what follow up therapy they are recommending. If they recommend chemo, ask them the kind of chemo. There are lots of different chemo cocktails, and we've had experience with all of them. We'll be able to give you advice to help you with the side effects. If they recommend radiation, find out how often, and what they are targeting to radiate. Lastly, to your question of how can they say lung cancer with out a biopsy? They can't 100% for sure say, as many here have been told they had a mass, that turned out to be scar tissue. But they can predict fairly accurately based on the shape of the tumor. Mine had tentacles coming out of it, and that usually means it's cancer. You can handle this. We will help you. I agree with Eric, get something to calm the nerves. Ativan helped me a lot. I still keep some on hand just in case, though I don't use it anymore. Hello, and welcome. It was a long time ago when I went to the Dr. thinking I had done something to myself packing and unpacking and was told instead I had lung cancer. It can be beat, read my story by clicking below. Please give us updates on how you are doing. I don't know if taking back your job quit is possible, but going on medical leave would be a much better idea - even if you hate the job and never want to return to it. The obvious, to continue health insurance, assuming you have it through work. Also, check to see if you have any disability through your employer? Mine would have kicked in after 3 months - that would have been nice financially had I been able to qualify. And third, if it turns out you are early stage and can undergo surgery and be done with the whole thing in just a few months, having a job to return to will ease your mind. Now, if the deed is done and done, well, first things first. A treatment plan will help calm down the fright. I do hope a biopsy is planned to make sure they know what they are dealing with. You've already gotten a preliminary finding of Emphysema - that gives a bit of extra burden on the process, and another reason to quit smoking, if you can. I know that is asking alot, and you may say, why stop? I've already got lung cancer. The studies really show you get through treatment and recovery far easier if you don't smoke. But as we all know, nicotine is a particularly addictive substance, so do what you can. Time between diagnosis and start of treatment is very difficult. You wouldn't be the first to ask for a bit of anti-anxiety medication to get through it. You want to maintain the best health you can through treatment - that includes sleeping, maintaining your weight, and even light exercise, if you can manage. Let us know what is planned, we can help with the load. Thanks for all the positive info. 9-9 is my next apointment and that is only to review the CT finding is my understanding. Quiting smoke for sure as i am motivated big time! The job is gone and really not an issue as i took the Corbra. I have unintentionally jumped on the roller coaster ride of my life. Hands high in the air seat belt on! The only time you can get hurt from a roller coaster is if you get off in the middle of the ride. You may feel better in the AM if you take a Xanax or Ativan rather than the drinks! But hey, we been there, and probably done that. At least I did. Armed with information and education will help you as you go along, and we promise to be here to help you with that! We do a daily "Air" post too. That is where we talk about our lives, and get to know each other better. Feel free to weigh in there for day to day sharing. So today's is Saturday's Air. If it does not show up in View New Posts, check View unread posts and you'll be sure to find it. I found the daily Air posts the quickest way to get to know my new friends here. Of course I couldn't find it in unread posts. You can also find the daily air by going to Board Index, and Just for Fun section. Hi, emac, welcome to the club you never wanted to join! How can they say i have lung cancer just from a CT don't i need a biopsy? True, they can't. Notice the CT report says "likely" or "most consistent with" a primary pulmonary malignancy. Even though the doc may have said you have lung cancer, I'll wager he put "suspected" or something similar in his notes. But be that as it may, assuming you do have lung cancer, they still need a biopsy to see what type and therefore what treatments are appropriate. also we do have our own oncologist who literally bends over backwards to help us out with questions of the medical nature! Dr West at Grace.org can probably give you a great answer as to your questions and many of us here are also over there as well. Click on link to be redirected!! registration is Free!! We can make ya laugh and cheer ya on in this fight but Dr West can educate Better than anyone here!!! HE is a Lung Cancer Oncologist! Agreed! But the GRACE docs are starting to decline requests to interpret large verbatim sections of scan and pathology reports. Aside from the amount of time involved, and the fact that the reply would be of little interest to anyone other than the individual concerned, they say these reports can be interpreted properly only with direct access to the individual patient. The GRACE docs believe that the local docs are the ones who should be explaining such reports to their patients. But if there are one or two items in a report that are especially confusing, or it there's a question that could apply to more than one individual, they do a great job at laying out all the options and considerations. Thanks !!! Did not know that!! I have noted the questions from Michigan Judy. Each of you all have helped ground me a bit. Staying off the web on this issue was the best info! Thank you all for the info and insight it's priceless. Hang out here with us and get info directly from the folks who have been there...those internet searches (right now anyway without more info) is really scary. Stick with us. We will walk beside you. Let us know how your appointment on Thurs goes...take a list of questions to ask...take pen and paper to write down answers to what is being said by the doc...and if you can bring someone who will be your second set of ears because oftentimes we get lost on a sentence or in our emotions and tune-out everything else. If you go alone...a hand-help tape recorder works great too. I'm sending positive thoughts for a good gameplan that will be a total success. Welcome Eric. Seems there's nothing much I can add to what's been said but I'd reinforce the statement that things do start to settle down once the dx processes are complete and a treatment plan is in place. Be sure to follow up and let us know how things go on the 9th. Welcome, Eric. I'll second the suggestions to write down questions, and learn all you can at your appointment. The more you know, the better you can explore all your options. While a biopsy is the only way to prove a tumor is lung cancer, the shape and appearance of the tumor on the CT scan can make doctors pretty certain, sometimes. My case was one of those. I ended up going to surgery without having a biopsy first. Good luck and update us after your appointment. Welcome Eric. Yup--hang out with us here. We have all been where you are. You will need a biopsy to confirm and you probably want to make sure they have tissue that can be analyzed for markers and other specifics that may suggest the appropriateness of targeted tumors. Until you know (1) for sure that it is cancerous and it it is (2) what type and (3) what stage, then you can make yourself crazy. Ignore all the statistics--they are old and they don't apply to individuals. Until you have more info you can talk about your fears here or vent or just come hang out. We understand. Well I'm a little late to the party, and there isn't much I can add to all the great information everyone else has given you but I did want to welcome you and tell you that things will calm down once you see your Pulmonary doctor and get started on a treatment plan. My Pulmonary doctor arranged for my biopsy and set me up with an oncologist, who got everything moving. This is a great group and never anything but total support. Please keep us posted. This club isn't too much fun and scary. It depends on where the tumor(s) are/is on how they go in. I will be honest that lung surgery is very painful. But the good news is that they really know how to use pain medication quite effectively. I have an incision on my left shoulder blade that is about 5 inches long. My tumor was in the back part of my lung. They did not crack any bones, but they did spread them to get to the lobe. They did remove the upper left lobe which is a big lobe. But before I even woke up from anethesia, they put an epidural in my back. I was up and walking the halls four hours after surgery! It was really quite amazing. The only advice I can give is that you must advocate for yourself, or have someone advocate for you. Pain is not acceptable and they have ways to control it quite well. Insist on it, there is no need to suffer. Like Judy said, it's usually an incision between ribs. Mine was longer, more like 10 inches. It's a tough surgery, but believe me, in this club, you jump at the chance for surgery, because when surgery is possible, it's still the best chance at a cure. That's not to say that there aren't lots of long term survivors here who didn't have surgery, because there are. But, we're getting ahead of ourselves. You'll know more after your appointment. OK are there any other question i'd want to ask? 7am Friday for the PET and i am sure you'll be hearing from me after that. I have an interview on Monday 2pm for a new job... (no travel too!) Not sure how thats going to play out if i go under the knife! Talk about a juggling act.... A job would be helpful and give me something else to think about. Good Eric, can't wait to meet your wife. There are many of us here that were caregivers, I was the lucky one to be both a caregiver and a receiver of care! Yippee! Do understand that you are meeting with the Pulmonary doctor, not an Oncologist. The Pulmonary doctor will not prescribe any follow up therapy. He will likely test your lung function to determine if you are physically able to have whatever therapy they eventually recommend (surgery or otherwise). He may give an opinion on whether he thinks this is cancer, or not. He may refer you to a surgeon for the biopsy, and that is where you will get a lot of the answers you are seeking. Try to stay calm. It's going to be okay. Good luck on the job interview. You can't really determine your ability to work until you get more answers after the biopsy. But I say go for it, and deal with things as they occur rather than trying to look into the future and predict things that can't be predicted! Good luck Eric. We'll be waiting for any update you have. Also, tell Susan we're looking forward to seeing her on the boards. Oops, I was thinking it was an appointment with the onc. Judy is right, the pulmonary doctor isn't going to be able to tell you a lot. He'll be an expert on the scan, so can take a guess about type and stage, but with no biopsy, there will be a lot he doesn't know. Keep us updated.